This interactive document takes everything great about Google Slides and brings it straight to your students. The Google Graph kit has different types of graphs and objects to make it easy and convenient for your students to successfully create beautiful graphs. 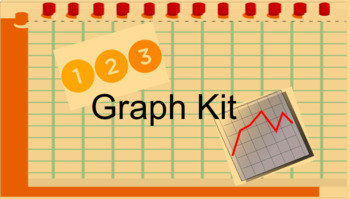 Including in this graph kit are the bar and line graphs, coordinate plane, and a Venn diagram. Their is also a Moon calendar that students can graph the Phases of the moon. I hope that you enjoy this creation to make your life easier!